This will be a quick one because I should be getting ready for bed - I have to get up in 5 1/2 hours (3:30 am) to get ready and go to the airport to head to Vegas for the TPT Seller's conference! Yay! 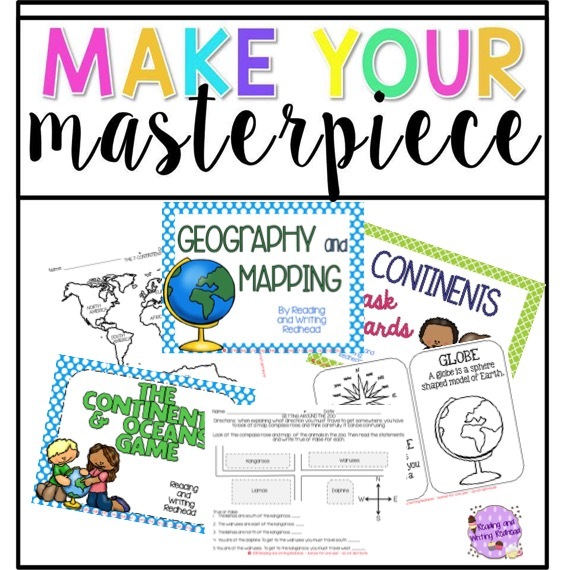 I did manage to just finish my geography and mapping unit in time - it was the third challenge in the TPT Seller Challenge! Check out some of the images in this gif and also the pin below! 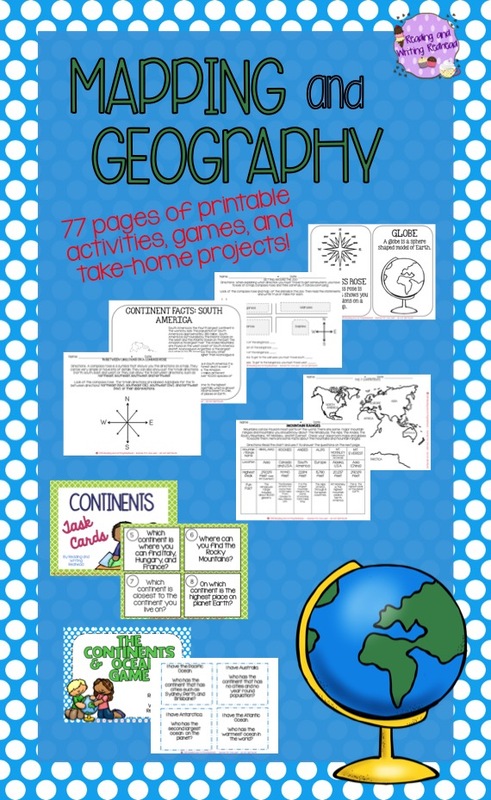 It contains 77 pages of activities - printables, games, assessments, a take home project and more! And I think when I get back from Vegas I will add a craft to it (don't worry, any updates to the product you will be able to download for free if you buy it before I add them!). Clicking on any of the images will take you to my tpt shop to get more details! Thanks for stopping by and I will give you more details soon! Gotta finish packing! This looks like a great unit! It's always so hard to find quality products for mapping and geography. Have fun in Vegas! Thanks Nichole! Glad to hear it looks good! Love your GIF! The product looks amazing! Thanks Jen! I was excited to learn how to make a gift!